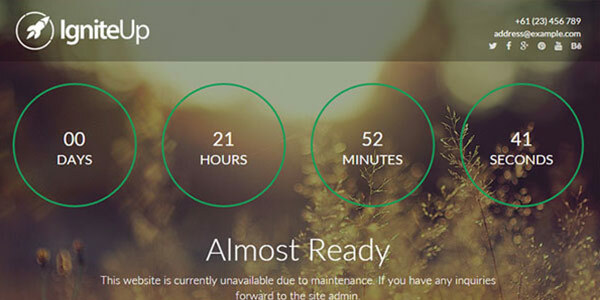 Create Simple, Decent and Modern Coming Soon and Maintenance Mode Pages for Your WordPress Website with Easy Clicks! All of our templates are fully responsive and works in any mobile, tablet, laptop or desktop device that you can find. 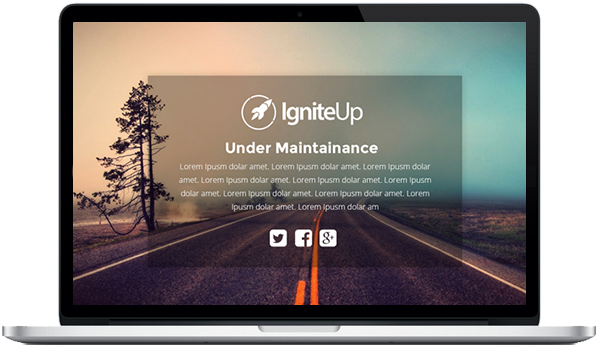 IgniteUp works with external templates. You can install your own or purchase our premium templates without sticking to built-in designs. You have Mailchimp, Mailpoet mailing list integration for free in the plugin. And also we are working on more integrations for other popular services. We've got a lot of pro features that other plugins offering in their paid versions. But surprisingly for free. 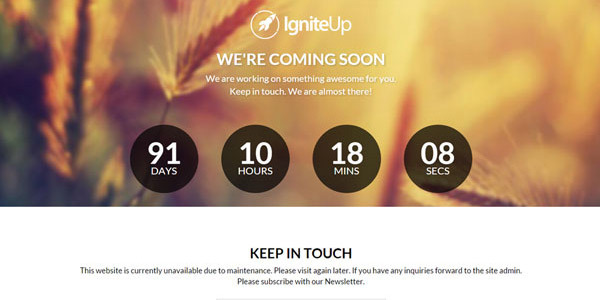 IgniteUp can create your decent and pro looking Coming Soon or Maintenance Mode page within few clicks. We have an acting fast support team for your support requests. Premium template users will be served with priority. This plugin is the best "Website Maintenance"/ "Coming Soon" plugin I've ever used (and it's FREE)! Easy and simple to operate. Keep it up. Very clean and straightforward plugin. I love the simplicity and the easy templates. Developers give awesome support. Thanks for this plugin. I really like the simplicity of employing it on WordPress websites when you want to keep the visitors away a little.